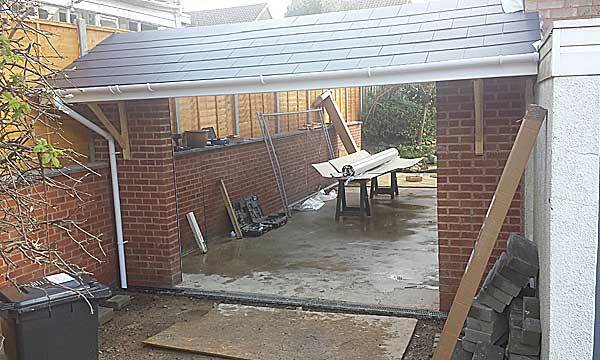 Worcester Doors was approached by a local car enthusiast whom wanted to secure a new garage he was adding to his home. We wanted to create a warm damp free environment with sufficient room to work on his current automotive projects and with a future project being a large 4 wheel drive he also required additional width and head room. The customer also wanted to have ease of access for both himself and his growing family but also wanted to ensure it was a safe trouble free system. 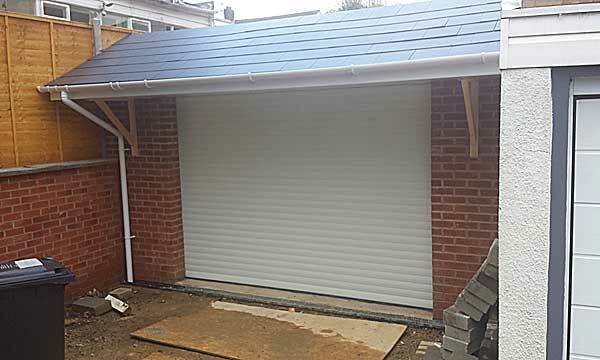 We manufactured a domestic insulated roller shutter door which is wind resistant to a minimum of class 6 wind load resistance with thermal resistance of 4.73W/m2k. The door will be actuated via a simple remote control operation with the additional safety devices of a safety beam across the aperture and an anti fall safety brake within the barrel assembly. During the garage design we assisted our client and his builder in allowances and tolerances within the new structure for the slightly larger and wider aperture to ensure a clear aperture, and following completion of the structure we installed the new white finish door to an agreed schedule. Following a very successful installation and completion of the door our very satisfied customer made a special journey to our factory to thank us personally for 'a superb quality all round service and product' .